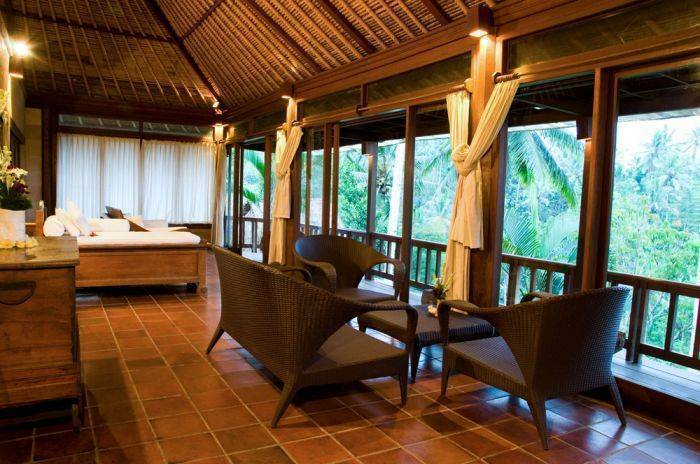 We are proud to offer typical our accommodation with luxury facilities in natural scene of valley, rice terrace hill and tropical forest. 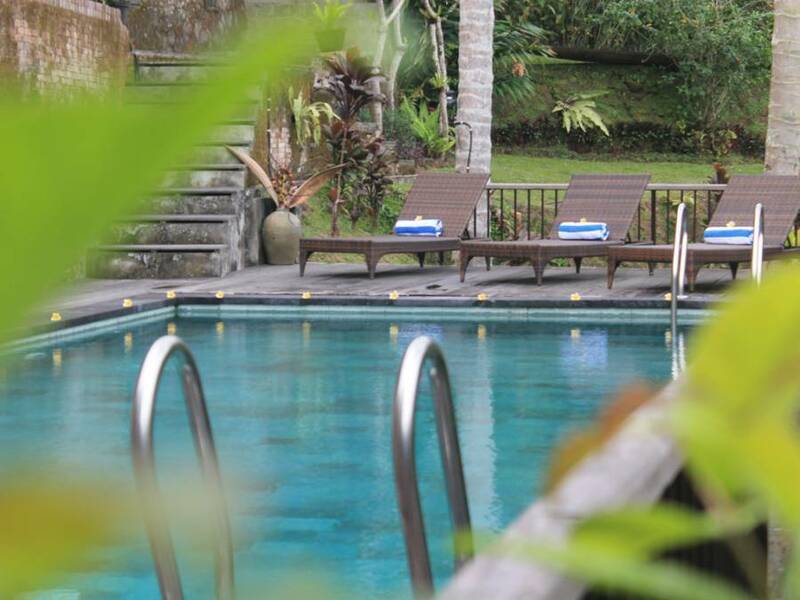 Our location is approximately 90 minutes convenient drive from Airport, 10 minutes drive from Central Ubud. We are situated in the rural of Tegallalang which is famous with the lining art shops along the road and we are near Ceking a famous rice terrace. 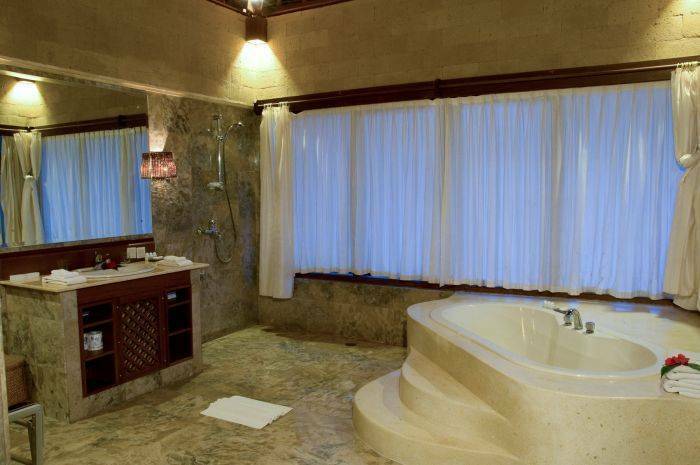 All rooms are air conditioned, equipped with double or twin bed, bath tub, mini bar, wardrobes, slippers. Each room has private balcony facing to the valley. 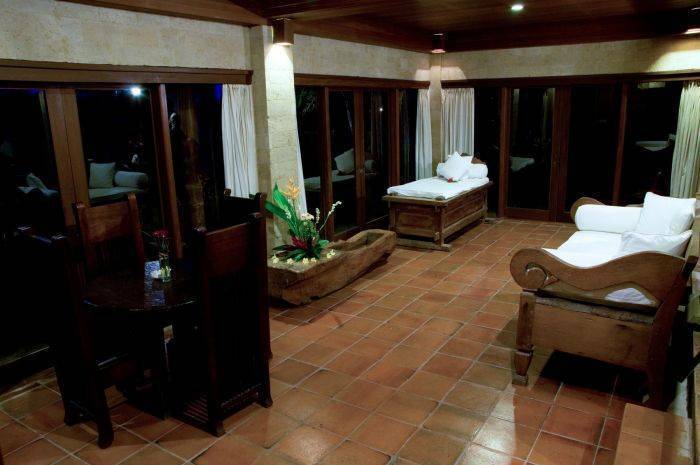 Suite Valley: three twin/double bed rooms, located down near the valley for purpose to have total tranquility. 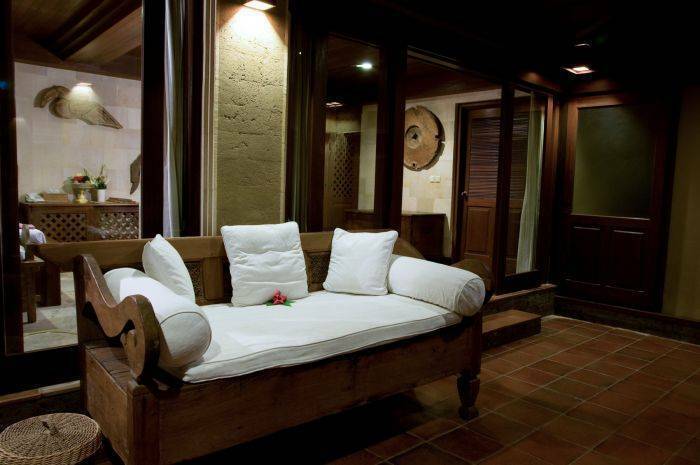 All rooms are furnished with antique wooden furniture and modern facilities. All parts of these rooms bringing us so close to the real nature of trees, bird singing, water ponds and rice hill view. Deluxe Suites, are set in long size and modern natural style to give space for large living room with convenience furniture while relaxing and watching television. Full glass windows and doors are to open the sight of door steps to swimming pool, valley, tropical trees, and rice hill view. Available only 2 unit of Deluxe Suites room either on the ground floor and second floor. Royal Suites, are joglo architectures set with typical wood and combined with almost "U" shape of glass windows to clearly open the site view of abundance tropical trees, valley and rice hill view. We are in Jalan Raya Ceking, Tegallalang, close to Villa Sarna and Ceking rice field. On site restaurant with beautiful view to the valley. International fusion food are available, consist of 87 seat. One night room charge is applied for any cancellation made before 3 days upon arrival, and full amount for cancellation made after that. 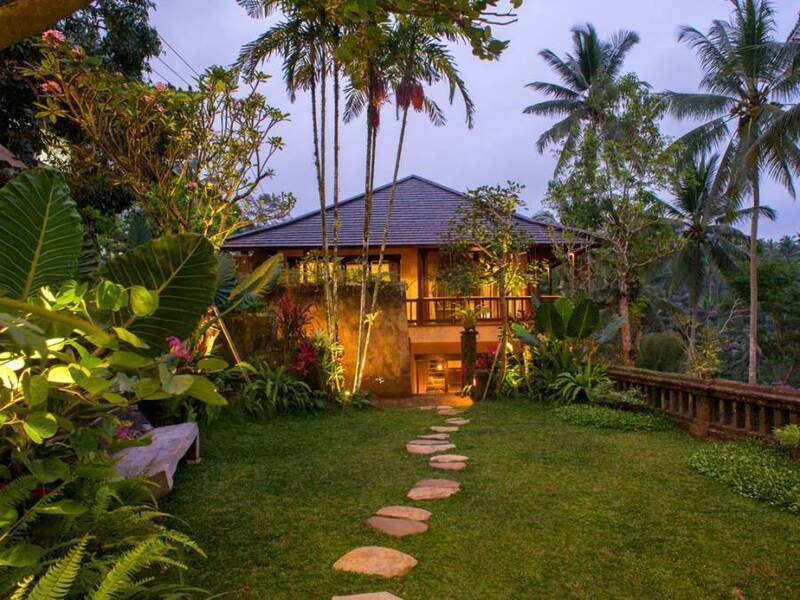 We located 15 minutes drive to the north from the center of Ubud, 1 km after Tegallalang market at the right hand side. Only a few walking distant before the famous Ceking Ricefield of Tegallalang. In house car, free shuttle to the center of Ubud is available. Airport transfer is available at US$ 25 net per car/way.